Dundee fans travelled to Paisley in large numbers full of hope and expectation but it turned into a desperately disappointed day for The Dee. After taking the lead in the opening minute, the Dark Blues were pegged back just eleven minutes later before the Saints scored a crucial winner in the second half. Dundee made two changes from their last match with Celtic with Nelson and Curran coming in to replace O’Dea and Miller as the Dark Blues lined up 4-4-2 and got off to a sensational start. With just 26 seconds on the clock Dundee took the lead when Ethan ROBSON scored his first goal for the club. Many fans were still to settle in their seats when John O’Sullivan fired a cross into the St Mirren box and Robson fired home from close range. It was the perfect start for Dundee but they couldn’t capitalise and press home their advantage. Both O’Sullivan and Scott Wright peppered the Saints box with crosses but former Dee Gary McKenzie, playing his first game in almost a year, dealt with them adequately while Andrew Nelson, also returning from injury, jinked through The Buddies defence before shooting just wide. 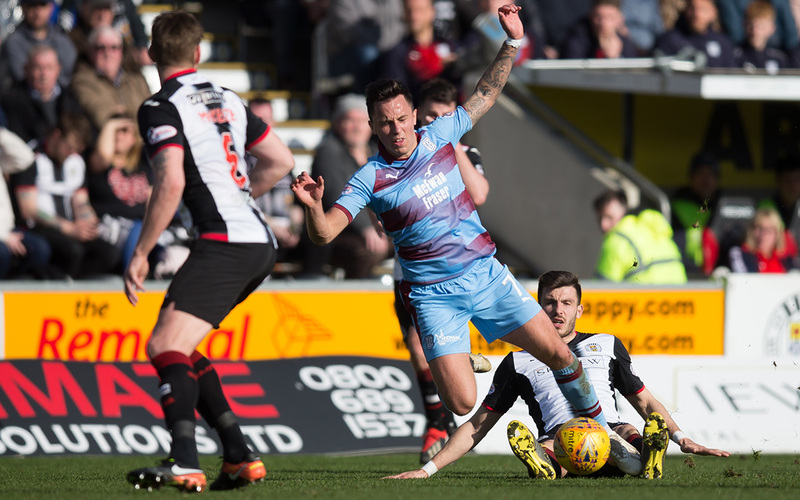 With Saints trailing Dundee by a point before the game, the home support must have feared the worst but their fears were allayed on eleven minutes when Danny Mullen brought St Mirren level. 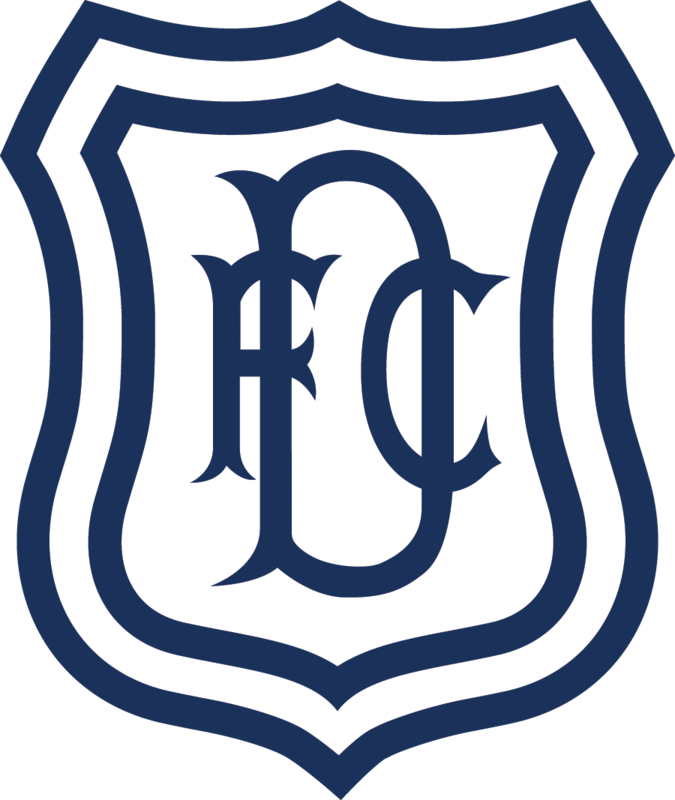 Ducken Nazon fired the ball into the Dundee six yard box and MULLEN got the deftest of touches to equalise and score his third goal of the season – all three coming against Dundee. Dundee tried to bounce back and Craig Curran and O’Sullivan worked Vaclav Hladky in the Saints goal before Brad Lyons showed that he could be a threat with a strike that went over the bar. The Dark Blues probably shaded the first half with Curran’s powerful shot being palmed away by Vaclav just before the break and they started the second half with the same attacking intent. However despite their good play and pressure on the ball, the heads started to drop as the goal didn’t come. The simple things stopped being done, passes were going astray and the early afternoon confidence ebbed away when St Mirren took the lead just before the hour. Brad Lyons had given Dundee a warning when his shot was then deflected by Kusunga and saved by Dieng before Anders Dreyer headed the rebound over the bar with the goal gaping. Moments later Lyons finally did get his goal, his first for the Paisley club, when he nodded home a Paul McGinn headed cut back from close range and although Dieng got a hand to it, he appeared to have dived too early and watched it fall behind him into the net. St Mirren’s tails were up and had the ball in the net again from Simeone Jackson’s header but it was ruled out for an infringement. Dundee offered very little going forward from that point on and resorted to a series of long balls forward and the introduction of Kenny Miller, Paul McGowan and Jesse Curran failed to spark any clear cut chances. A goal for Dundee would have made the latter stages nervy but in truth the Dark Blues struggled to recreate their first half showing and the home side saw the game out with ease. The result leaves Dundee at the foot of the table but they’ll need to get over this result quickly with another game in four days time. Recent performances have been decent without yielding any points but this did not not live up to their level. The Dee are now staring down the end of the relegation barrel and need to turn this around quickly.